Ingenia Gmbh are the 'World Leader' in materials handling and automation systems, specilising in Galvanizing plant automation and Steel Mill logistics. Ingenia have a solution for all lifting requirements. Herwig Chemicals supply a full rang of Alloys, Base Metals, Chemicals for Galvanizing and Plating plants throughout Europe and Australasia. A family owned company based on Germany, Herwig Chemicals is a leading edge supplier known and recognised for its research and development and industry contribution to environmental management. Regency Plastics is revamped and ready to go. Steve and Lyn have opened up a boutique plastics engineering and supply company, after closing down Profile Plastics. 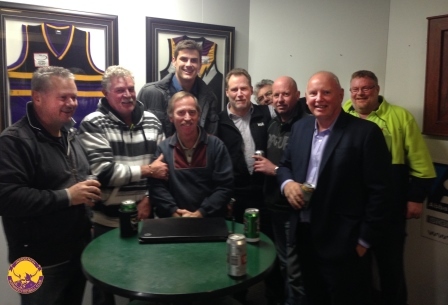 Steve has been a sponsor and a supporter after finishing his footy at Norwood for 25 years. Please check out the new website www.regencyplastics.com.au or give Steve Anstee a call on 0477 990 775 for all your plastic, PP and PE requirements. Tom, who called in with Dad - probably to drive him home!!!!!!! 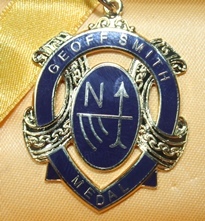 The Geoff Smith Medal celebrates the achievements of the U19 player judged the Most Valuable Player for the season He Debut with hawthorn in 1969 with his first game against Sth Melbourne. He went onto play 38 senior games kicking 24 goals in a career that lasted three years with Hawthorn. As a player Geoff was a quick onballer and very much the old fashioned type rover. 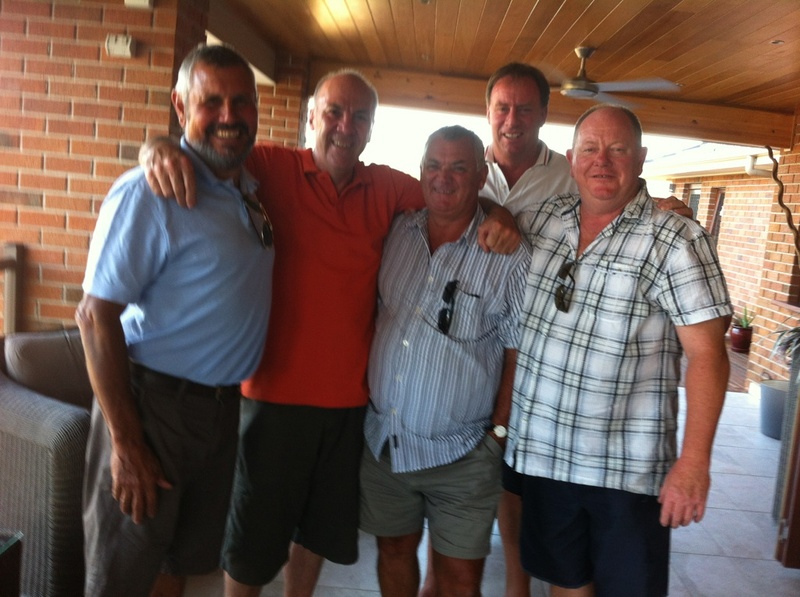 Unfortunately for Geoff he debut in the same season as the other famous rover Leigh Mathews. 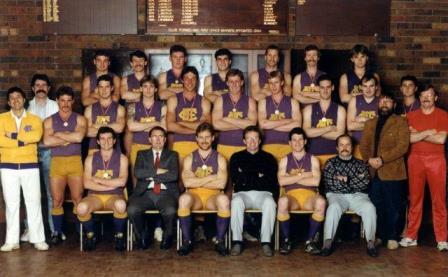 In the same year along with Mathews , Peter Knights, Brian Douge ,Michael Tuck and Kelvin Moore all on debut (Not a bad draft group) He kept other good company that year and his first game included players David Parkin Ian Bremner Des Meagher Graeme Arthur Peter Hudson that day he changed in the forward pocket with another great Peter Crimmins. It is widely known the transfer from Norwood to Hawthorn attracted a massive fee, 1 second hand Sherrin Football. 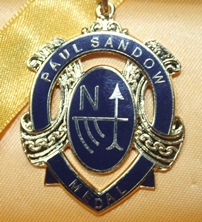 The Paul Sandow Medal acknowledges the contribution of Paul Sandow not just as a player but as a Junior coach / mentor, supporter, committeeman , Cook , Norsemen and dedicated clubman. Pauls contribution to the NFC over 26 years was outstanding and he is remembered as a genuine "Once in a Lifetime Club Person". His career spanned 89 games and he kicked 100 goals on two occasions, played in a reserve grade Champions Premiership Team , Paul during his footballing days was affectionately known as golden boots, a name which he certainly thought was appropriate and didn't mind you knowing. 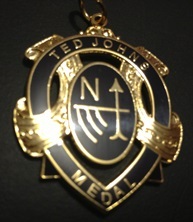 The Norsemen Medal for the 1st 18 team is aptly named the Ted Johns Medal. Ted was a founding father of the "Norsemen" in 1969. Senior Sergeant at Ringwood police station Ted was head of football recruiting from within Victoria Police, raised sponsorship whilst walking the beat and organised the Norsemen fund raising to help the Football Club and its members in areas of need. Teds way of doing business was no fuss and many times not known by many people as support came in many ways to many people. A lover of the game and community Ted was also awarded the Queens Medal for Bravery during his distinguished career. Ted was honoured with Life Membership of the club an award he told carried as much pride and honour as his many other community distinctions. Not only does this award recognise football ability and fairness but the recipient of the Ted Johns Medal carries with them the humble legacy and values of man who along with many others built the Norwood FC so it can prosper the way it does today and for many years to come.